* Finalist in the Traditional category of the Booksellers’ Best Award from the Greater Detroit RWA. 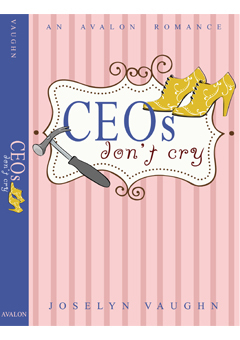 After being passed over for a junior partnership and getting relegated to a branch office in the middle of nowhere, Leslie Knotts vows that she won’t let budget cuts, corporate upheaval or meddlesome ladies distract her from turning the branch around and showing she has the savvy for the upper echelons of the company. Organizing and advertising his new construction business has been harder than Mark Schultz expected. Having his Aunt Minnie and her friends from the Ladies Night Out group throwing women in his path isn’t helping matters. When his aunt’s outrageous schemes spell trouble, Leslie and Mark team up to outsmart the Ladies. Mark introduces Leslie to his friends and she discovers genuine friendships as well as a love with Mark like she has never known. When a competing company offers her the big city partnership she has always dreamed of, will Leslie risk her future as a top executive to stay where her heart has found a home?